I don’t care what labels people plaster on me. 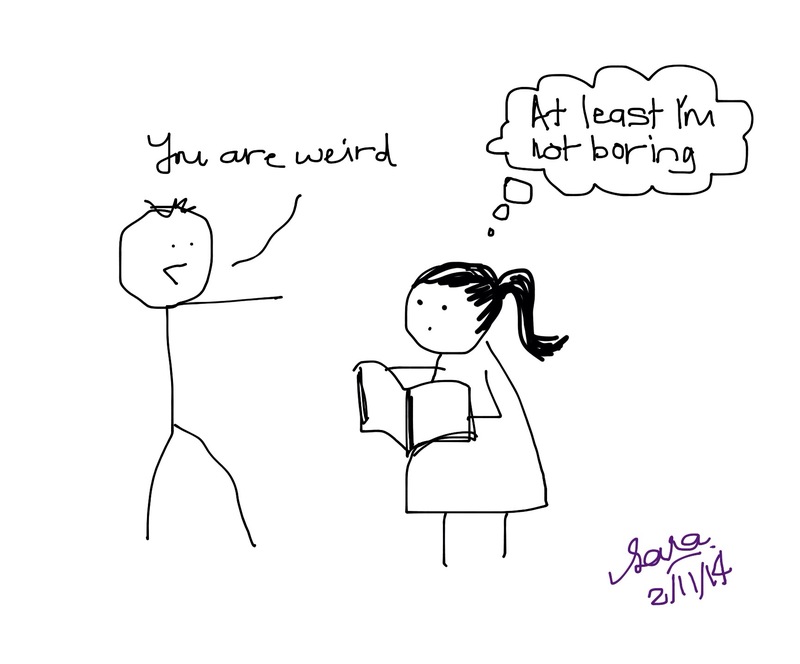 On a few occasions, when I was growing up, a few come to me and tell me that I’m weird (because I don’t join activities that bores me or laugh at jokes I don’t consider funny). If I was a little less tactful, I would have said “At least I’m not boring”. But I decided to keep my opinion to myself; as in my other thoughts, theories and ideas. So I find solace in reading. It probably exacerbated the situation. Everyone else became dull in comparison to Jane Austen and Oscar Wilde. At one point, everyone bores me. Little did I know that my personality accounts to about 1% percent of the population (find yours here). It’s the rarest personality type and naturally the most misunderstood one. This breed finds joy in gaining knowledge and engaging in deep discussion, which unfortunately is lacking when everybody seem to only talk about exams, girl-boy relationship and football. Though it wasn’t like I didn’t have friends; I have a lot of them. Socializing was easy. I’m happy to talk about all the things they want to talk about. But there was so much in my mind that I couldn’t or didn’t share that frustrates me sometimes. Now that I’m older, I realise it’s okay not to be ‘mainstream’ and understand that other people are not boring; we are just different. Now, I articulate myself better and willing to appreciate people who are unlike me. This realisation and discovering the other rare 1% made me quite a social butterfly!